Hearing loss occurs in nearly all of us. Life, in both times of joy and sadness, is a noisy experience. But, just because you’re experiencing hearing loss doesn’t mean you can’t enjoy your life to its fullest. Living with hearing loss can be difficult, but it’s not impossible. At Stockton Hearing & Speech Center, we’ve been helping people manage and treat their hearing loss for more than 40 years. 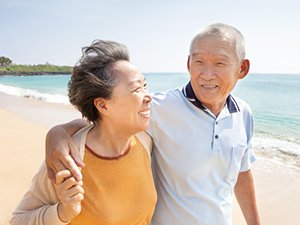 Through the use of hearing aids and advanced treatment plans, we can help you live your best life, regardless of your hearing loss. Hearing loss requires extra effort on your part to communicate with others. This can lead to undue stress, which can lead to social isolation, becoming more dependant on others, and reducing your sense of safety in new environments. But, there are ways you can manage your hearing loss to make it easier for you and others. One of the greatest difficulties those with hearing loss experience is managing their surroundings. In noisy restaurants, busy intersections, or bustling parks, it can be difficult to follow a conversation because of the ambient noise. Your ability to hear a conversation fully is impacted by the type of space you’re in and how it is structured, the distance between you and the person you’re talking too, the presence of background noises, and the surfaces and structures of the space itself. If you have hearing loss, there are some strategies you can follow to better understand a conversation. First, you can move closer to the person speaking to you to limit the amount of sound lost over the distance between you. If there are background noises, like TVs, radios, and even AC and heating units, move away from those spaces, or turn them off. If you’re in a space with hard floors, try moving to a room with carpeting and covered furniture so the sound bounces and echoes less. You should also try to make sure a room is well lit so you can see the facial features of the person speaking, so you can recognize their visual cues of what they’re talking about. Managing your environment is a big part of making it easier to follow a conversation, but once you’ve engaged in a conversation, there are other ways you can make the experience easier on yourself. Being an active participant in the conversation makes understanding it much easier. Let your conversational partner or group know about your hearing loss; they’ll appreciate the notice and will work to ensure that they are heard clearly. Focus your attention on the speaker, and stay alert to the changes in the conversation. Don’t be afraid to ask someone to repeat themselves in the conversation. Listen to the rhythm of the conversation, and pay attention to phrases and words that are repeated throughout the conversation for contextual clues. Speech reading is the process by which you watch the speaker’s face, posture, gestures, and tone of voice to gain an understanding of what is being said. Often, you can understand what’s being talked about, and how it’s being discussed just by studying these elements of the conversation. The difficulties of living with hearing loss can often be lessened by the use of hearing aids. 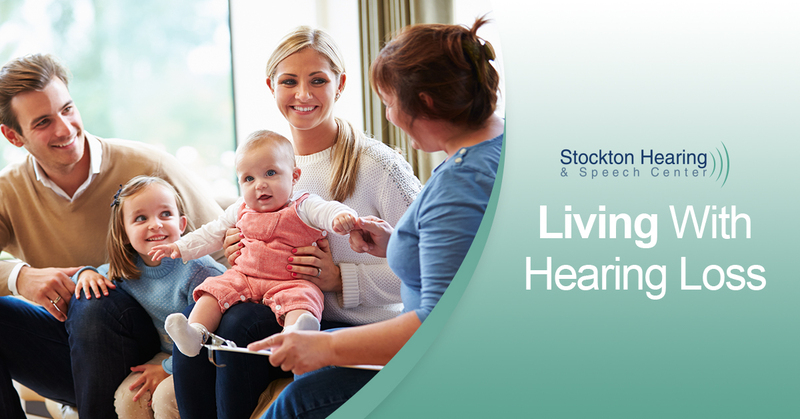 If you feel you would benefit from hearing aids, schedule an appointment with the audiologists at Stockton Hearing & Speech Center. Our team will evaluate your need and create a hearing treatment and rehabilitation plan for you to ensure you’re hearing is best managed.